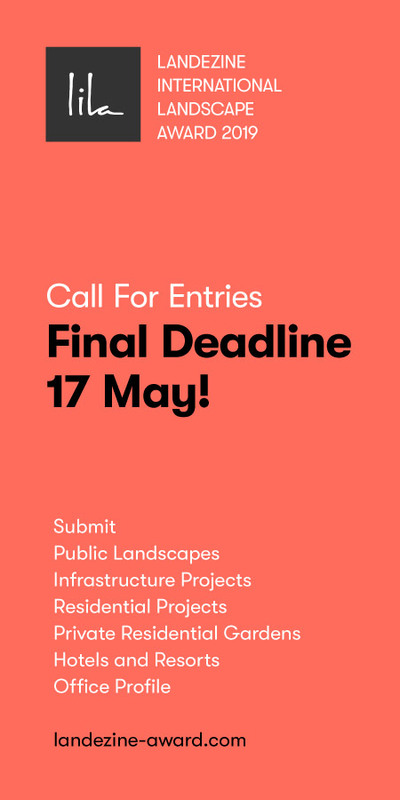 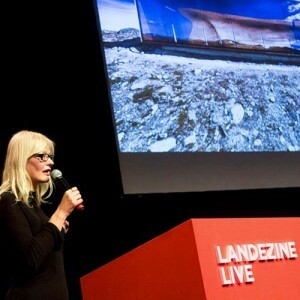 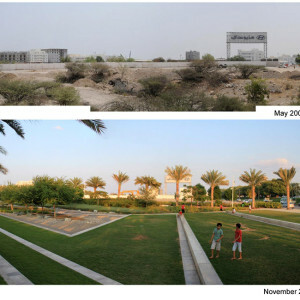 Atelier Jacqueline Osty & associés: Today abandoned, wadis are synonymous with danger and floods. 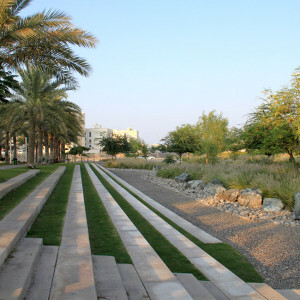 During a few days each year, rain water runs in wadis, cutting the city into fragments, cutting the circulation. 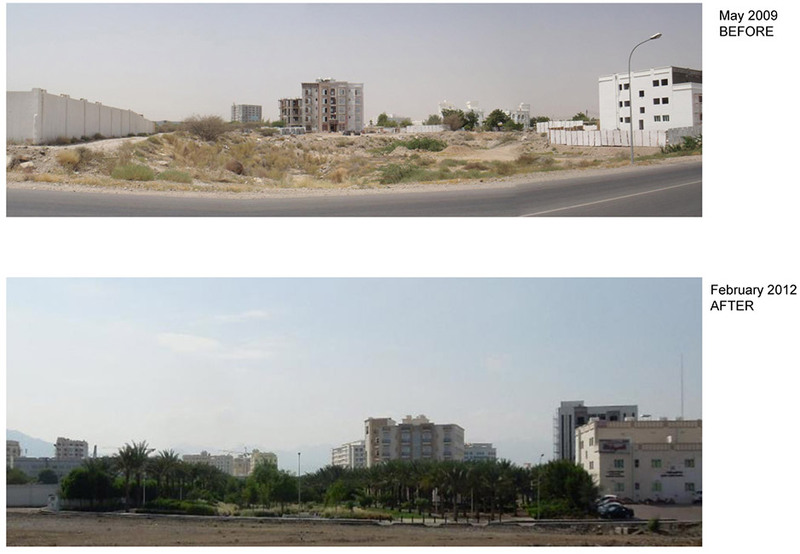 The rest of the year, they are most of the time dumping space, abandoned areas. 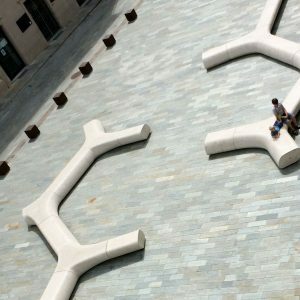 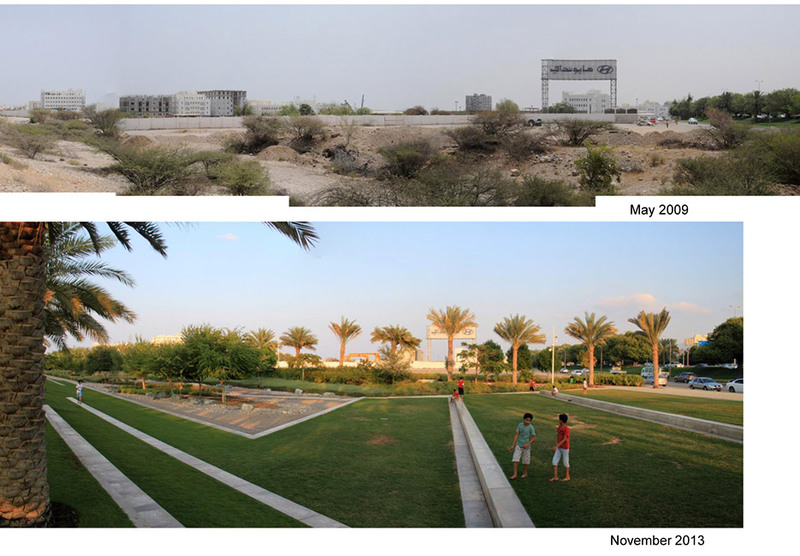 Tomorrow redesigned, they can become living spaces between neighborhoods, a real network of parks and pedestrian promenades linking the different neighborhoods of the city of Muscat to the sea. 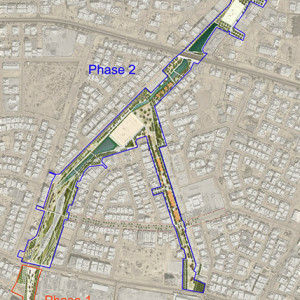 The wadi Al Azaiba is a blue line of the urban fabric which links the mountains of Jabal Al Akhdar to the Gulf of Oman. 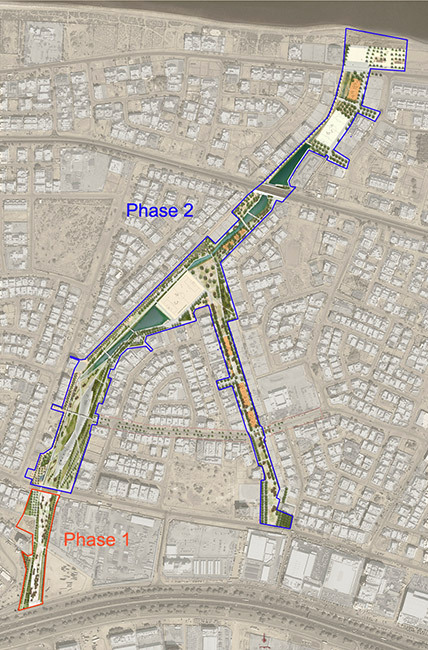 This deep print in the ground and the geography of this area is the first yarn of the green framework which is being developed for the city of Muscat by the Atelier J.Osty & associés. 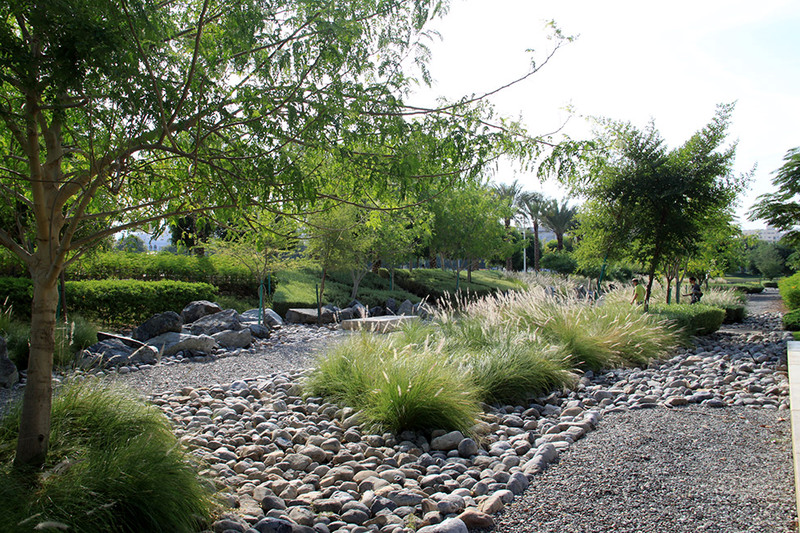 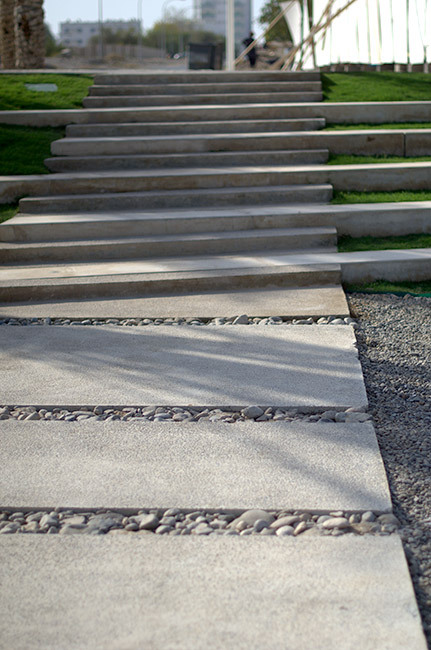 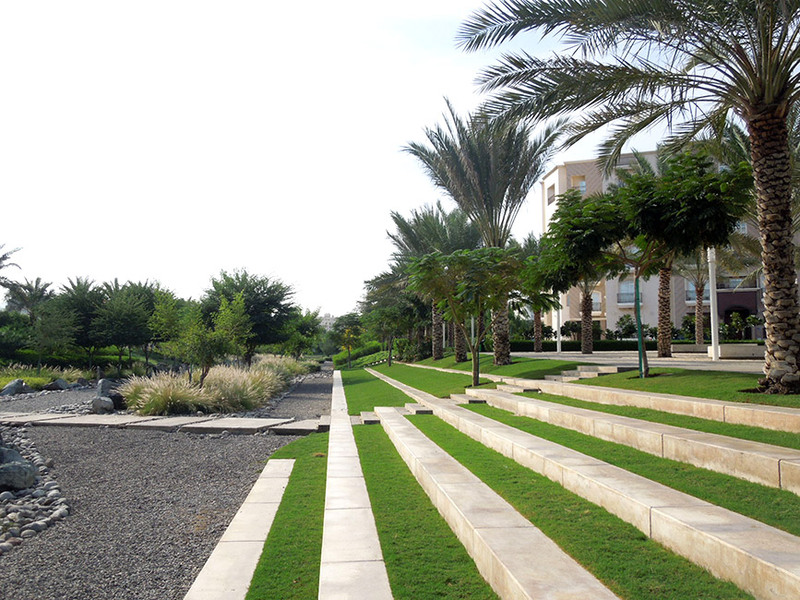 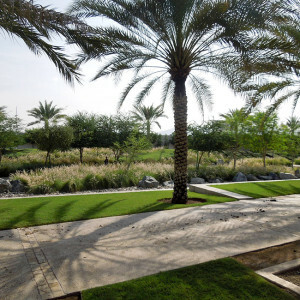 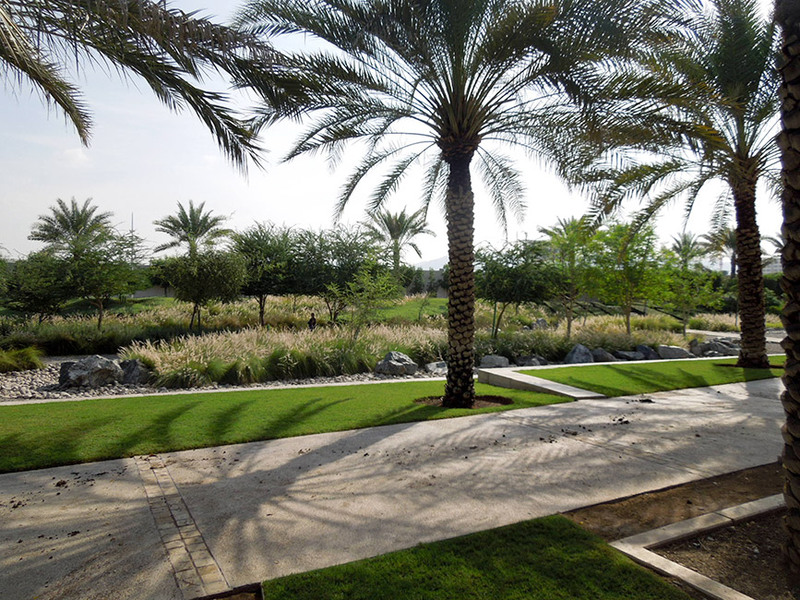 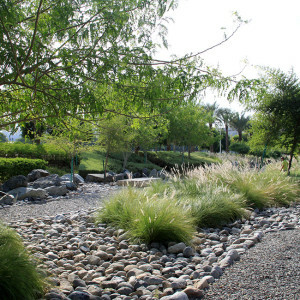 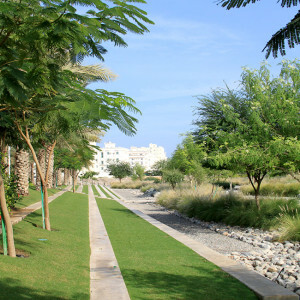 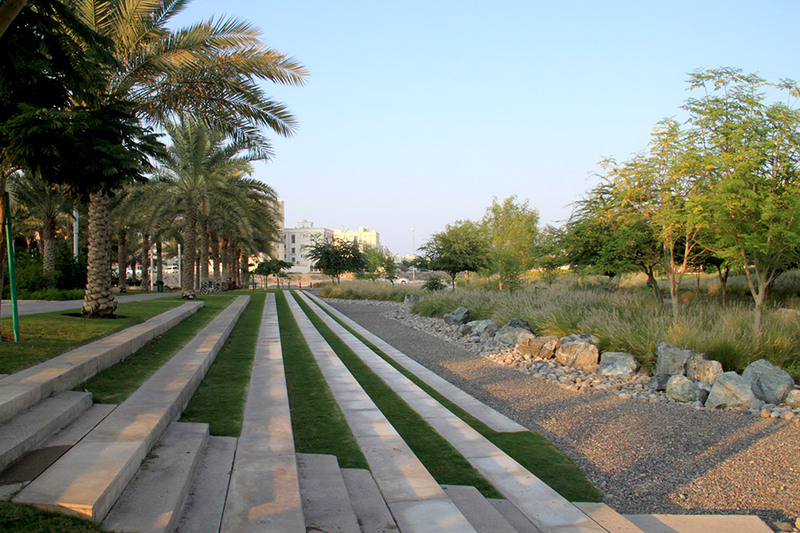 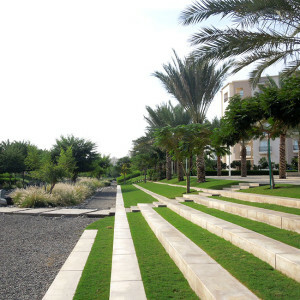 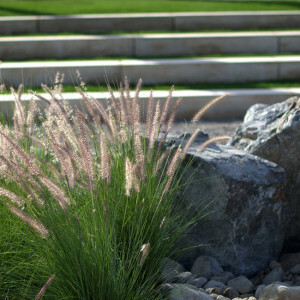 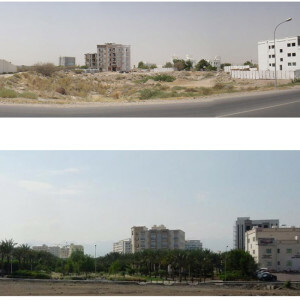 It is the first urban park of the new landscape strategy of Muscat. 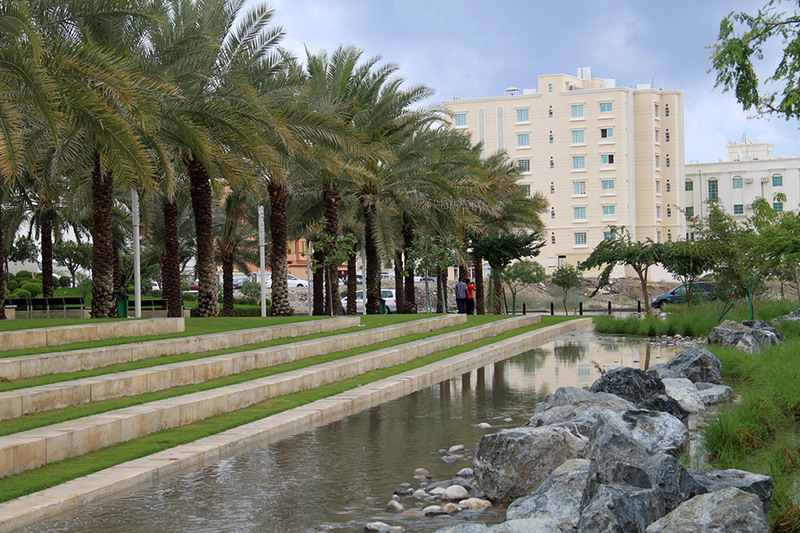 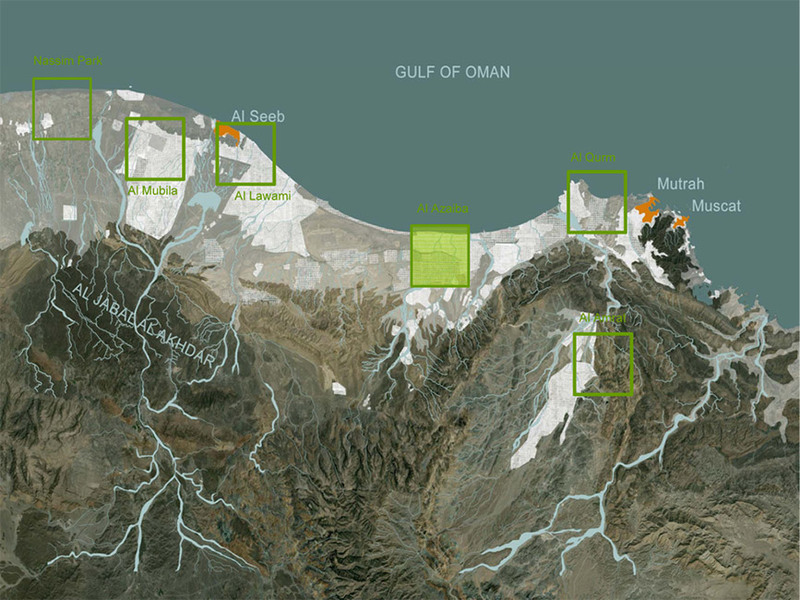 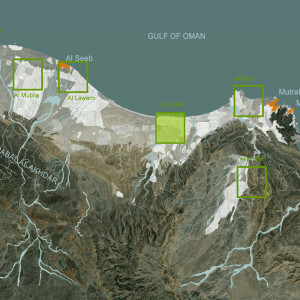 The Wadi Al Azaiba is situated west of the center of Muscat and 5 km east of the airport. 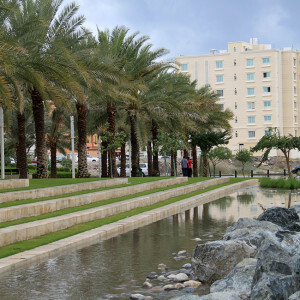 Within the district of Al Udmaybah Ash Shamaliyah, it runs through the centre of residential neighborhoods from the As Sultan Qaboos highway towards the sea. 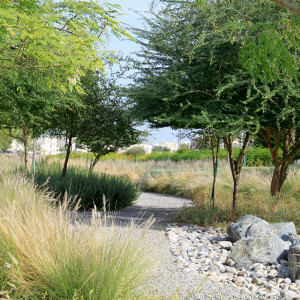 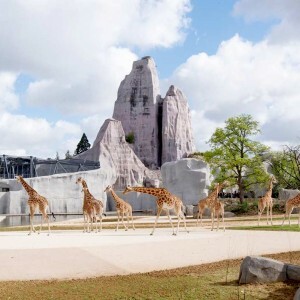 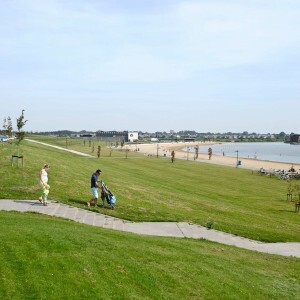 The aim of the project is to allow the neighborhood of Al Azaiba to reconnect with its natural environnement by redesigning it for the inhabitants and visitors. 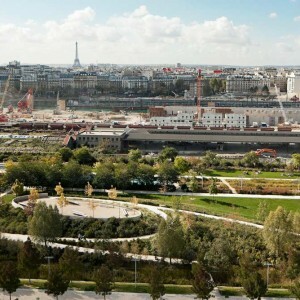 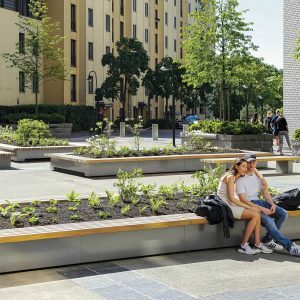 A new way to live the neighborhood is proposed, where public space enables to multiply and cross the uses. 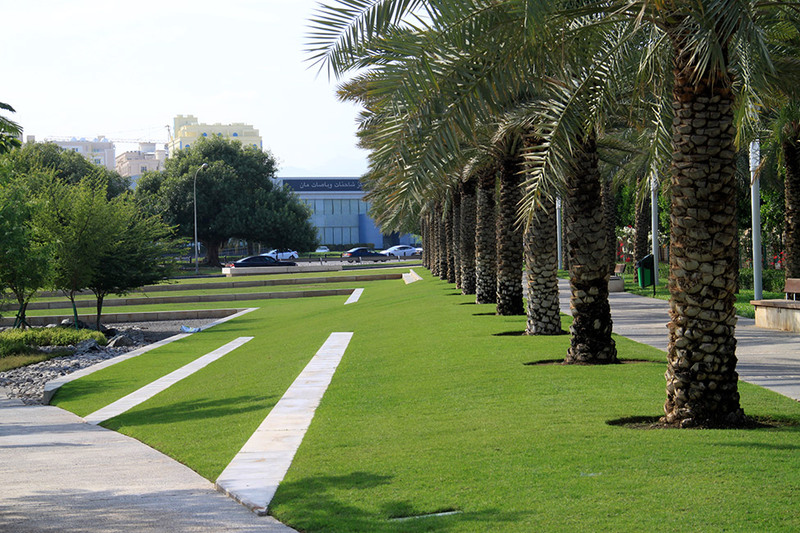 The development of the wadi upgrades the quality of public space by making it easier to circulate around and more pleasant to live. 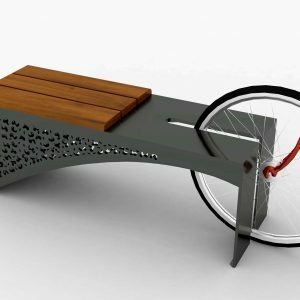 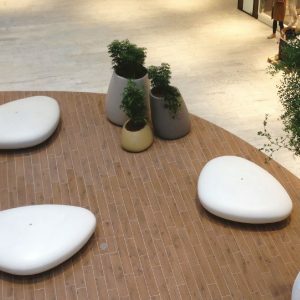 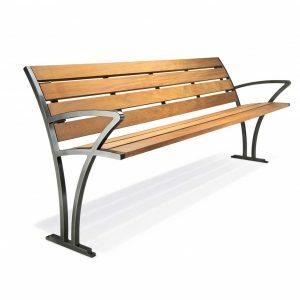 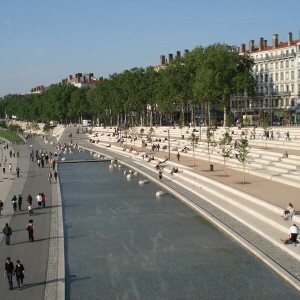 It offers other uses than car, favorable to promenade and relaxation. 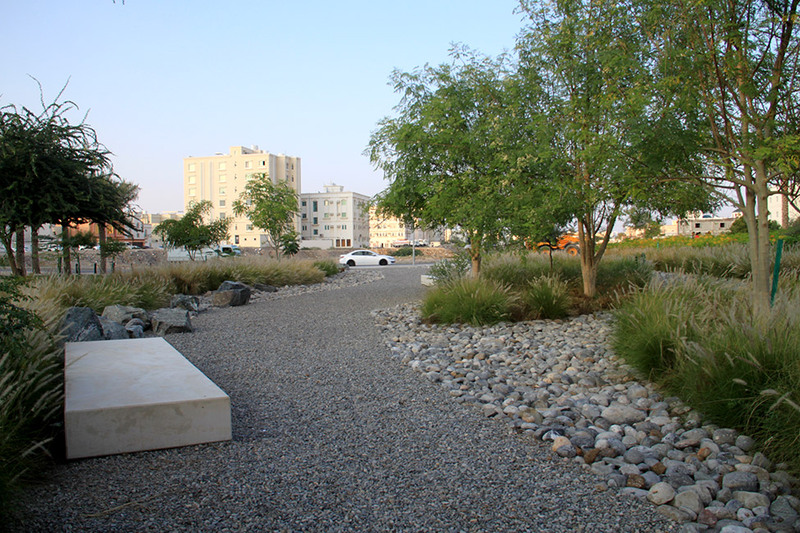 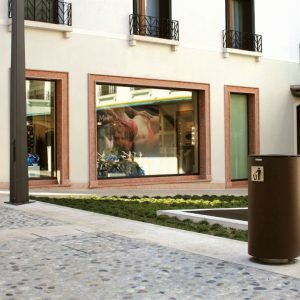 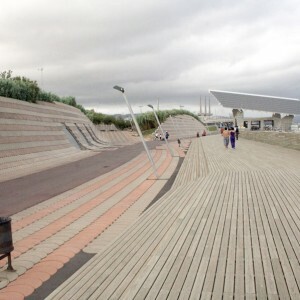 The aim of the project is also to turn a dumping space into a gathering space, a key point of the neighborhood. 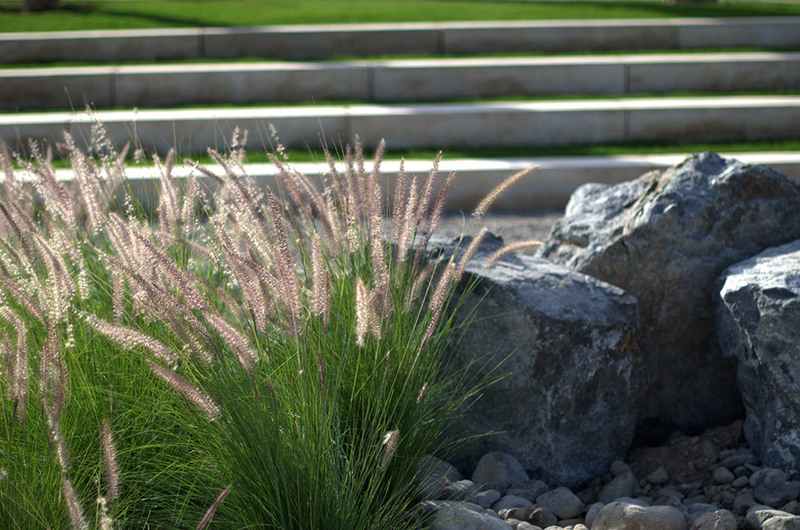 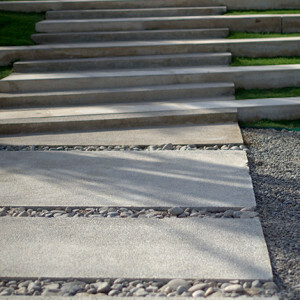 The project brings a modern interpretation of the mountain landscape with the cultivated terraces, the dry river of the wadi. 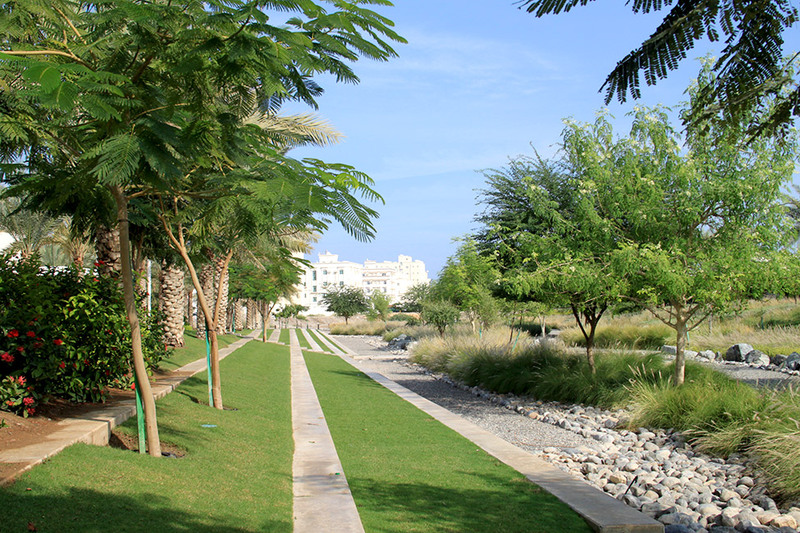 It offers proximity uses with its upper and lower promenades along the banks and sports fields in the wadi’s bed. 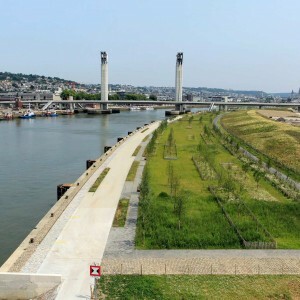 It is also the story of water with the cohabitation of the controlled water/ the wild water. 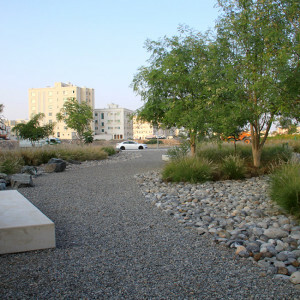 The projected wadi is adapted to episodic floods thanks to a width let free for the rainwater, and the rusticity of the different elements of the project. 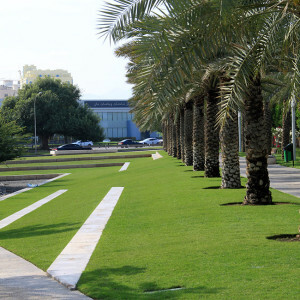 The ornamental more sophisticated elements are developed for the upper part while more resistant elements and materials are developed for the lower part of the wadi. 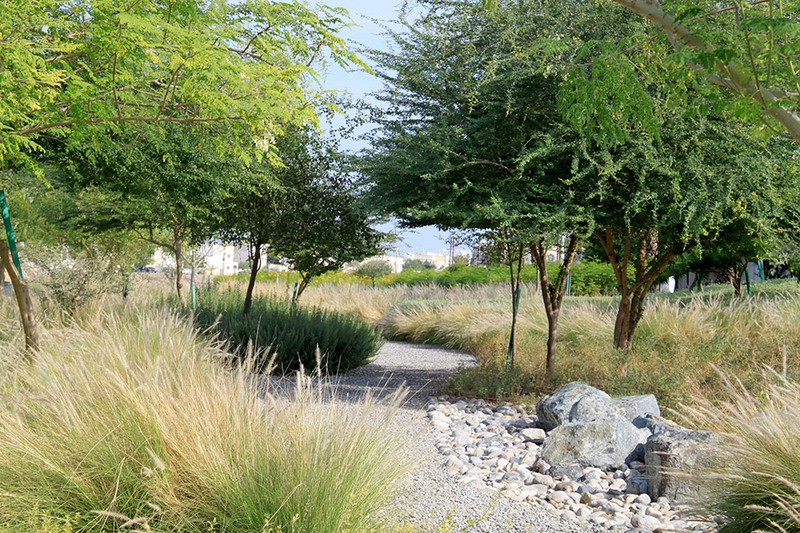 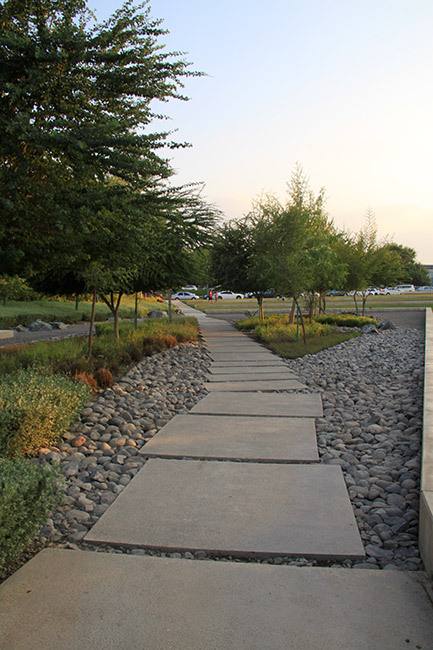 Vegetation is treated with the same logic: draught tolerant plants are developed in the wadi bed while ornamental plants are kept for the upper banks. 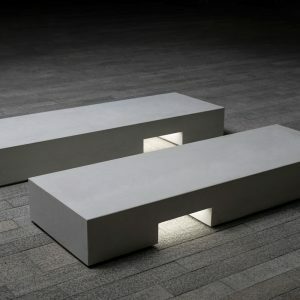 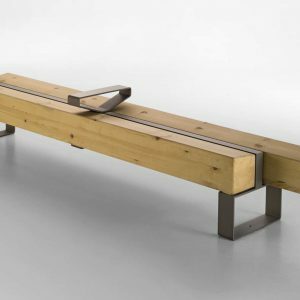 A special attention is given to furniture and lighting elements in particular. 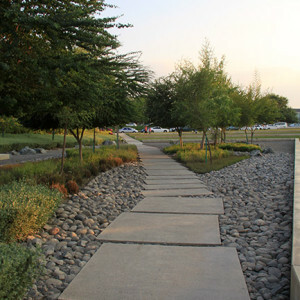 A night landscape allows the inhabitants to walk around the area by night when the temperatures are cooler.